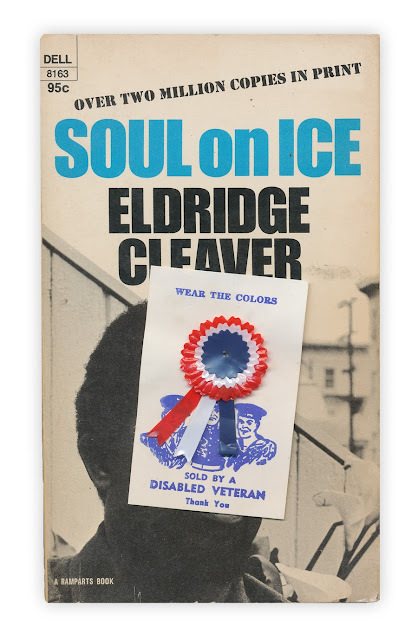 Red white and blue ribbon pin, reads "Wear The Colors - Sold by a Disabled Veteran - Thank You." Found in "Soul on Ice" by Eldridge Cleaver. Published by Dell, 1970.